In this post, bibliophile volunteer Olga Ospina presents the account of the transition that The Guardian and newspapers in general had to go through with the changes brought by the disruption of digital media. She also introduces a book about commercial fossil collecting and a beautiful book about the importance of silence. The author of this book was the editor of The Guardian from 1995 to 2015 and his book is a memoir that also narrates the history of newspapers in the last decades. 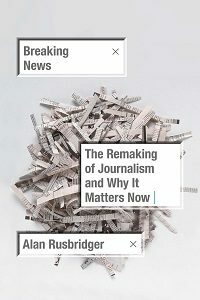 During his tenure, Rusbridger was confronted with a media crisis and transformation caused by the shift to social media and his book is about the digitization of journalism. The digital disruption not only changed the business model of newspapers, but also modified the very idea of journalism. The vertical model where journalists were assimilated with the notion of authority and expertise was replaced by a horizontal model where every voice is equal to every other voice, as Rusbridger says, bad information is everywhere. This entertaining book constitutes a case study of an industry confronted by a radical change that has threatened its very existence. The author makes an account of this transition and how they adapted to every change that came their way. We get insights about the challenges posed by the growth of social media, the vast amount of unreliable and fake news, and mass media consumption. In this book we also learn what happened behind the scenes during the newspaper disclosure of different cases of corruption, telephone hacks, WikiLeaks and Edward Snowden, and the challenges and difficulties they went through to disclose the news. This is a necessary book that reminds us of the importance of objective and free media and the difficulties and struggle that print newspapers had to cope with upon the arrival of a new technology that has shaken its foundations. We need good journalism to distinguish between fact and fiction to form a realistic and informed view of current affairs. The author does not resolve the question on how newspapers can survive. During his tenure at The Guardian’s, the newspaper’s reputation spread on global scale, but it is also true that when he left in 2015, the paper suffered a significant loss with the transition towards digital. His model of “open journalism” is still in progress. Paife Williams, a staff writer for The New Yorker, narrates an interesting story around commercial fossil collecting and the consequences of transporting and trafficking these fossils. The story focuses on Eric Prokopi, a fossil hunter from Florida who goes to prison for smuggling fossils. This fossil amateur prepared and tried to auction in New York a Tyrannosaurus Battar skeleton from fossils illegally unearthed in Mongolia, only to have the its government demand it back. 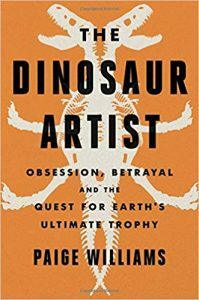 The book introduces us to the different stakeholders interested in dinosaur fossils: museums, academics, fossil amateurs, commercial traders, and governments around the world. This is a well-researched journalistic account about the controversy surrounding fossil collecting activities carried out by amateurs that raises the question on who owns natural history. Without doubt fossil hunters make an important number of discoveries that add value to museums and the academic field of paleontology. But the downside is that their popularity with wealthy private collectors (many Hollywood stars) is not only pushing up prices and putting them out of reach of museums, but also the information that these unique specimens might contain would never reach the scientific community. The book deals with scientific discoveries, trade shows, international law, history, and Hollywood and intrigue, making this investigative reporting unfold like a true crime story. It is very entertaining and the descriptions are very vivid, however the lack of a cohesive story can be sometimes frustrating. 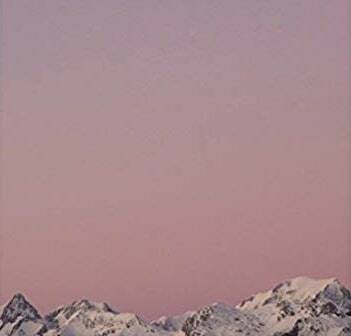 Written by the Norwegian explorer who has reached the “three poles” (including Mount Everest), this short book is about the power of silence. In his voyage to the South Pole alone, Erling Kagge discovered the power and value of silence, which inspired him to write this book. In the author’s words, silence is getting inside what you are doing, experiencing rather than overthinking, shutting out the world and not living through other people and other things. For him “silence is not really about the complete absence of sound; it is also about the ability to find wonder in the everyday”, claiming that we don’t pay attention to the world around us. 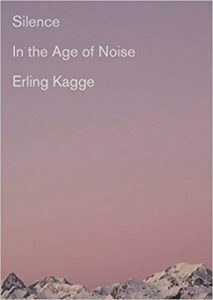 Kagge advocates that the most important silence is within us, a silence necessary to meet ourselves. Silence can speak but instead of listening to it we spend our lives trying to avoid it by engaging in activities and endless distractions that keep silence at bay. This short book has beautiful images inserted between these short essays, the content is not ground-breaking but offers thoughtful meditations on stillness.